During last year's government shutdown when Republicans and Democrats couldn't come to a compromise on spending provisions to continue to fund the government, the media portrayed it as Ted Cruz's fault - Ted Cruz's shutdown, because he wanted to defund Obamacare. This year, Sen. Elizabeth Warren wants to reject the bipartisan spending compromise to get rid of business-friendly deregulatory provisions. But this year, it's not about "Elizabeth Warren's plan to shut down the government." No, the media can't bring themselves to go there. Instead of "Why Democrats Want to Shut Down the Government," we get "Warren tells House Dems not to support omnibus." Instead of "Elizabeth Warren and the shutdown caucus," we get "Spending bill teeters amid Democratic discontent." 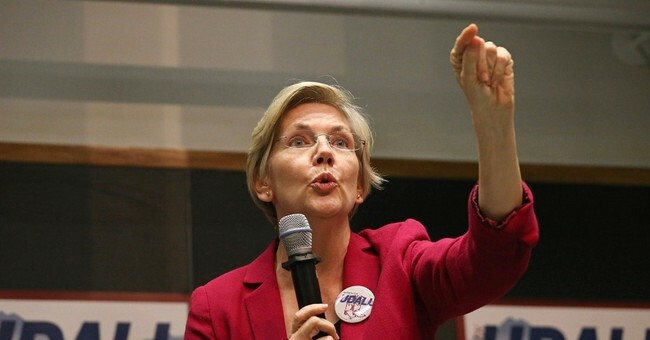 Instead of "Elizabeth Warren Is Protesting the Shutdown She Asked For" we have "Elizabeth Warren Joinse Revolt Against Wall Street Deal In Government Shutdown Talks. Last year, Ted Cruz's push against the government spending deal was all about how Ted Cruz wants a shutdown. But when Elizabeth Warren threatens to torpedo a spending deal that will result in a shutdown, it's all about her courage in standing up to Wall Street and her populist movement against fat cats. Everyone loves a good story about intrapartisan fighting on Capitol Hill, but only the media wants to hide that what's behind Elizabeth Warren's crusade is that she wants to shut down the government to achieve her goals. And let's not get started on the flurry of media hyperventilating about how terrible a government shutdown would be when it's Republicans' fault, yet not a peep now that a Democratic hero is leading the charge.